True Gospel Radio allows independent gospel music artist to submit there music to this radio station for air play consideration. True Gospel Radio excepts gospel music from independent gospel artist, groups or choirs from all over the world. We help up and coming gospel talents get the radio exposure they need in the music industry. Just send your music in MP3 form along with your album cover, clip art, artist information and contact info to our email address at: info@truegospelradio.com You will receive an email conformation from us if your music has been considered for air play. We do not pay royalties to any gospel artist, managers or promoters......your music is play on this radio station for exposure only. True Gospel Radio is not responsible for music that is not copy written. Look at what you get!!!!!! 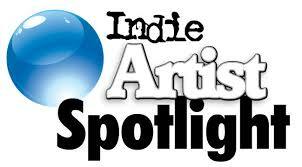 Once your music has been excepted for air play, you will be our featured artist for that week and we will play your song once every hour all that week. After which your music will be added to our live daily music playlist rotation. This will help you to get the music exposure you need. True Gospel Radio doesn't charge any gospel artist, group or choir to play their music on this radio station. A $10.00 dollar donation for ever song submitted to us that receive air play is to help us stay on the air spotlighting independent gospel artist and their music. This is a free will donation only....your music will still receive air play.